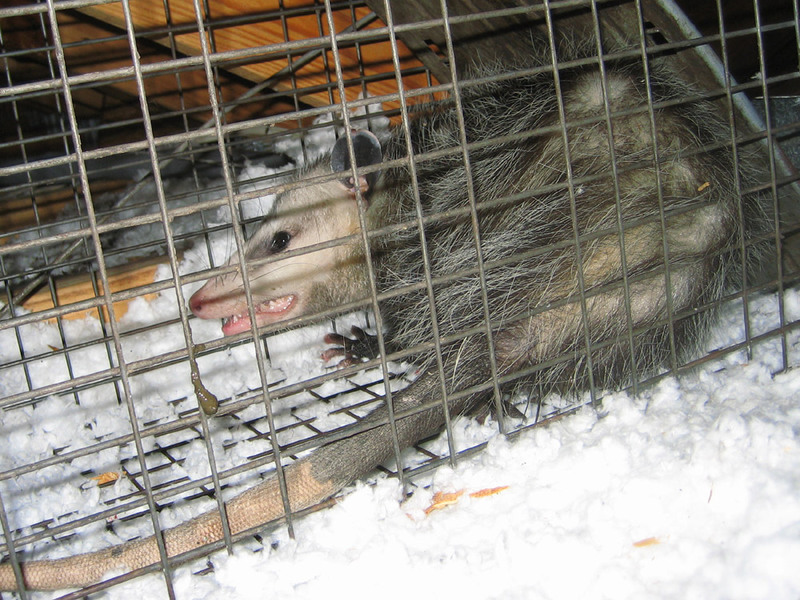 Opossums commonly get under the house, the shed, the porch, etc. They also commonly get inside the attics of homes! We trap and remove them, and relocate them far outside the city limits. I'm in Jacksonville FL. The last three days or so we've had a great deal of rain.. This morning around 10 am, I watched a momma opossum carry a good size baby up into the over head of my porch.. I'm hoping she got all of them.. I don't want to kill them. Or seperate them from momma. And until I read about the diseases, which I always thought was a scare tactic to keep people from moving them into the home as a pet, I was ok with them staying.. I can get up there and clean the area out several times a year, it's well ventilated and it's not actually inside the house or attic.. As a matter of fact we keep the peg board up for nesting birds.. Is there somebody here in my area, that can take them and keep them safe? I have cats and a poodle, but they don't go outside.. Again, I like them, I don't have a problem with them. But the disease factor does bother me a bit.. They were under my shed I think, which is on the outer boundry of the property. I'll work on soemthing this winter to keep it from flooding next time.. Any advice you can offer for us all to live together peacefully is appreciated. Or anyone you could recommend for possum relocation would be appreciated..
We were able to remove Nancy's opossum from her attic, along with six young! We relocated them 15 miles away from her house and fixed the entry holes, and all is well now.